Leave early, avoid rushing. Rushing and being late always upsets our calmness for the day. Sometimes we feel like champions when we can make it across the metro, from Quezon City to Makati in 15 minutes or less, but that’s a tightrope. A small miscalculation in a traffic opening, a red light crossing and we all explode because we will never get to our destination. Be early. As the MMDA says, Filipino time is on time. Use a MAP or GPS system to find your destination in advance. If you’re going to a location you’ve never been to, it can be nerve-wracking especially if you’re a newbie driver. 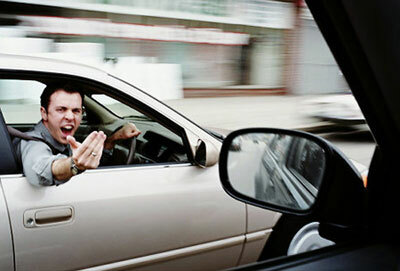 You might not be the one dispensing road rage, but you might catch the ire of other motorists who will dole out the road rage, all because you were unsure of your destination and ended up straddling two lanes or swerving to make the turn, which could cause others to crash or accidentally scratch someone else’s front bumper in the process. It’s easy to find your way through online maps, GPS fitted in a whole slew of modern cars, and actual maps that you can buy in most convenience stores, gas stations and bookstores. Make sure your car is in tip-top shape. All too often, a broken-down vehicle poorly positioned on a busy thoroughfare can cause traffic to back-up for miles, earning the ire of motorists and commuters alike. These huge traffic jams are a hot spot for road rage incidents to occur because people waiting in line with no clear time frame until the traffic clears up, speeds up or dies out is one of the fastest ways to create stress, agitation and, ultimately, aggressive behavior. You might not be the one dispensing road rage, but your actions (or lack of it in this case) will cause fellow motorists to be the ones being aggressive. Make sure your spare tire is properly inflated at all times, have a complete set of working tools, a change of clothes and a big, old towel inside your vehicle. Have the numbers of emergency towing services on hand, or be a member of a national car club like the Automobile Association of the Philippines, which provides emergency towing services and on-site simple repairs. Drive purposefully and keep focused on the road. Traffic driving is like the jungle: the weak gets picked out, overtaken and left behind. Focus on your driving, keep the gap ahead of you small, mind your sides, and keep up with the general speed of traffic. While at an intersection, you can have a generous gap to allow motorcycles to pass through, or leave practically none (except on inclines) so motorcyclists will not try going through the gaps you leave behind. Don’t be shy in honking your horns or flashing your lights to alert other motorists that you’re coming up behind them or when entering a traffic opening—though don’t get too bashful with your horn and lights as you might irritate them. And always remember to use signal lights 50 meters prior to turning. Lastly, pay close attention to MMDA and Philippine National Police traffic enforcers and their hand signals when to stop, go or turn. Keep your mobile phones away from you while driving. Using mobile phones takes away concentration from your driving, slows you down and more importantly, slows down the people behind you as you might crash into the cars ahead of you. If you are having a very serious conversation on the phone, get off the road, finish your conversation, then cool down and relax before joining the traffic once again. The most convenient hands-free phone kits won’t help either because they still take away your focus from driving. 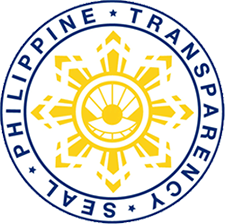 The last thing we need to do is to respect everything: the road conditions, our car’s condition and age, the traffic enforcers (MMDA and PNP), other motorists, pedestrians and ourselves. If we’re tired, irritable, moody or spaced out, we shouldn’t be driving. Anything that makes us lose control is dangerous for driving and should be avoided. ✓ Exclusive Discounts & More! © Copyright 2011 - 2019 - LTOExam.com - All Rights Reserved.